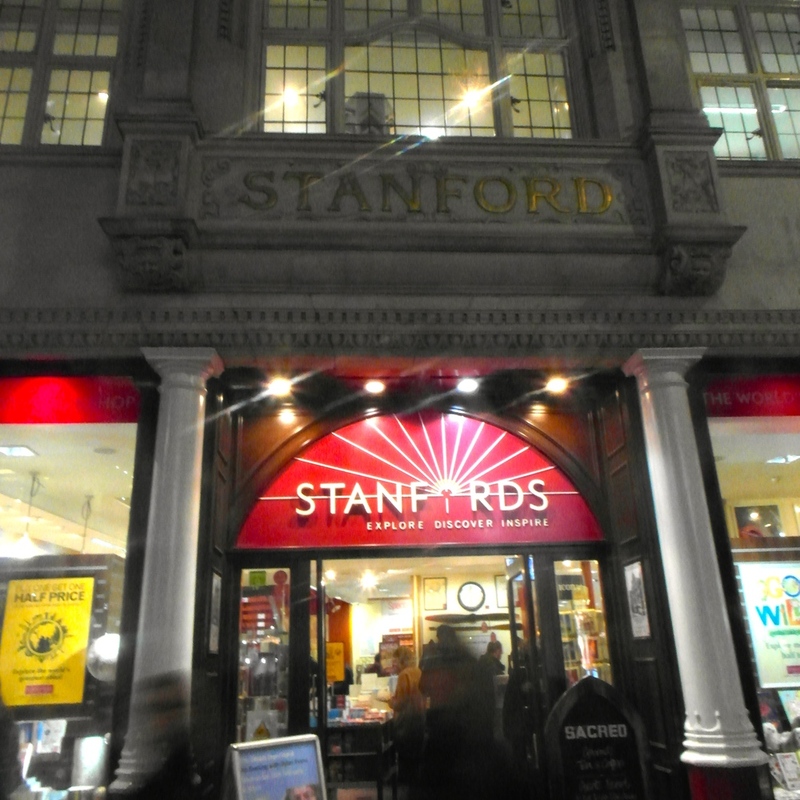 Stanfords is located in the heart of Covent Garden in London and this is an amazing bookstore for a very specific audience. Are you in London on a trip or are you just bitten by the travel bug? Stanfords will satisfy all your needs! First off, the building of Stanfords is gorgeous even before you see the inside. It's a beautiful old building, with some great display windows. If you think it's just travel books, you are wrong! When I went, there was also a nice collection of children's book displayed. But the outside is nothing - we booklovers want a great selection of books and Stanfords definitely delivers. As is well known, Stanfords is mostly a bookstore for travellers. They have an upstairs floor with a special department which specialises in maps. I've heard that not only can you buy any map ever made, you can even get your own gorgeous maps (like the one of the floor) made. Sounds like a perfect present for the traveller in your life to me! But if you're a tourist and can't actually carry a custom made, gorgeous, massive map with you, there are plenty of tour booklets so you can explore London. As an added bonus, there are some great postcards you can buy so you can show off that 1. you've been to a great travel bookstore and 2. you've gotten some great tips on where to go in London! The only downside for me is the fact that I don't like travel books that much. I usually google everything I need to know and travel memoirs just don't really do it for me. There are fiction books, but just not enough compared to other stores. So would I buy something in Stanfords for myself? Probably not. Will it become my go-to store for presents? Definitely. If you are even remotely interested in travel OR gorgeous bookstores, do yourself a favour and get down to Covent Garden to see this beauty of a store!